Sinclair Broadcast Group, Inc. announced on Monday that their new investigative journalism program Full Measure with Sharyl Attkisson will makes its debut on Sunday October 4. The announcement was made by Scott Livingston, Vice President of News for Sinclair Television Group. Ms. Attkisson is a recipient of five Emmy Awards, seven Emmy nominations and an Edward R. Murrow Award for investigative journalism. She recently authored the New York Times bestseller, Stonewalled, which addresses the unseen influences of corporations and special interests on the information and images that the public receives every day. Batt Humphreys will be the broadcast’s Executive Producer. He served in several executive roles with CBS News in New York, including EP of The Early Show and Director of Standards and Practices. “In today’s world of media and journalism where reporting is often superficial we pledge to dig deeper, to bring the context and perspective to the stories that matter, to bring to our audience the ‘Full Measure’,” says Mr. Humphreys. Kim Skeen will be lead producer. She has been recognized with multiple national awards including two Emmy Awards and many others as a producer for investigative work for CBS News, ABC News and CNN. Bryan Barr will be lead photographer. His work has won multiple local Emmys, AP and Edward R. Murrow awards in coverage of news events across the nation. 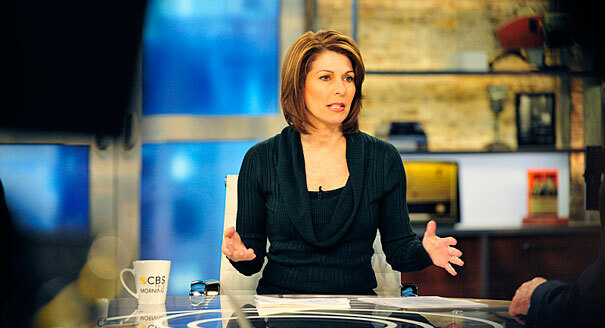 Since leaving CBS Attkisson has been highly sought after by conservative groups and the right-wing media. She signed on as a contributor to The Daily Signal- an online news site run by the Heritage Foundation and appeared many times on Fox News’ MediaBuzz program so the launch of her own program is part of the natural progression of her new career as a journalist unfettered by the usual liberal media dictums. Sinclair owns and operates, programs or provides sales services to 162 television stations in 79 markets, including Washington, D.C, and will be closely watched by the liberal media elite.